Back in September, when Apple’s new iPad lineup was announced, we were surprised to see one of the most rumored tablets of the year, the iPad Pro, also making its debut. Thus, the Cupertino-based manufacturer entered a market with a very big potential, since more users are replacing their laptops with big tablets, so a 12.9″ iPad seemed to be the solution. But let’s not forget that Apple’s products are far from being cheap, so the iPad Pro might not be the first choice for anybody looking for such a tablet, which might lead to a change of plans. According to Phone Arena, sources in the upstream supply chain claim that the price of the tablet forced Apple to limit order with the supply chain. For those of you who aren’t up to date, the iPad Pro has a starting price of $799 and it can jump up to $1079, depending on the storage capacity. Don’t forget about those not-so-cheap iAccessories either! Also, if you want to enjoy the full experience, you might want to get a Smart Keyboard, for $169 and the highly-criticized Apple Pencil, for $99. Not the most pocket-friendly investment, we’d say, especially for a company that is looking forward to cut costs. After all, the tablet is made mostly for enterprise and educational use. 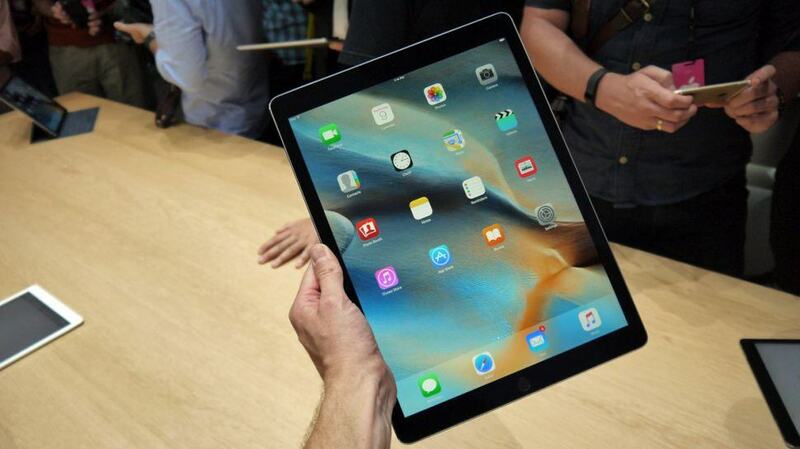 The iPad Pro has a 12.9″ display, with a resolution of 2048 pixels, resultin a density of 265 ppi. It’s powered by the Apple A9X chipset, while the amount of RAM is still unknown, even though initially it was believe that the tablet had 4 GB.It has an 8 MP main camera on the back, teaming up with the 1.2 MP front facing snapper. The tablet will hit the market next month, but currently, there aren’t any details about a specific date. Would you buy Apple’s 12.9″ tablet?